Zorvino Vineyards is a small piece of Tuscany located in Sandown, New Hampshire. 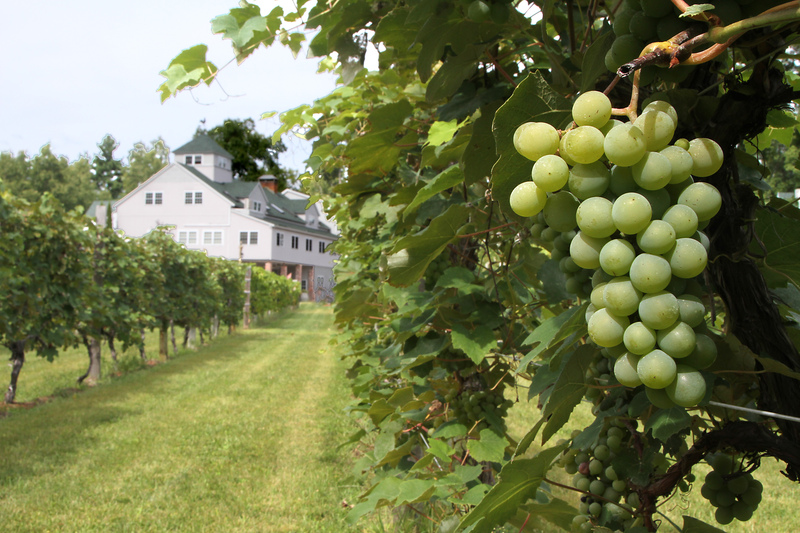 Our picturesque winery is located on 80 beautiful acres in the middle of a New England hardwood forest. We are committed to producing quality wines from local New England grapes carefully tended on our property, as well as interesting varietals from grapes grown in premier winemaking regions of the world, including Tuscany, Chile, and Northern California. We also produce award winning New England fruit wines. We are not just a winery, but a quality destination, with a post and beam function facility that accommodates 150 for weddings and events of all types and sizes. We also have monthly food and wine tastings as well as themed wine dinners and special events. Please see our website for a schedule. Come sample our wines in the Zorvino tasting room or spend a day enjoying our Tuscan Villa in the New England countryside. Zorvino Pinot Grigio - A bold Pinot. Not your typical Italian release. Baby Bluez - New England blueberry wine with a dry finish. Cranbreez - Classic tart cranberry wine. Not too sweet. Peachez - Light and medium dry. Perfect for sipping anytime. Bronze Medal Winner. Fragole Zee - Our fresh new Riesling with a taste of strawberries. Zorvino Carmenere - Spicy and peppery red from Chilean grapes. Bronze Medal Winner. Zorvino Merlot - Smooth & dry with a touch of tasty oak. Bronze Medal Winner. Zorvino Chardonnay - Our 2007 Chardonnay is light and fruity yet dry with no oak. Zorvino Reserve Chardonnay - Limited release produced "Sur Lie." Buttery!